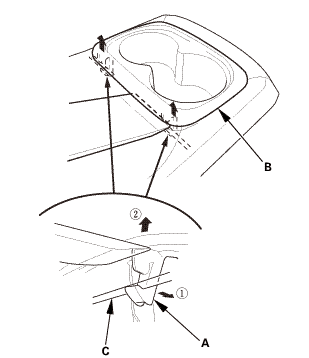 Release the hooks (A) of the rear seat armrest beverage holder (B) from the wire (C) with the appropriate trim tool. 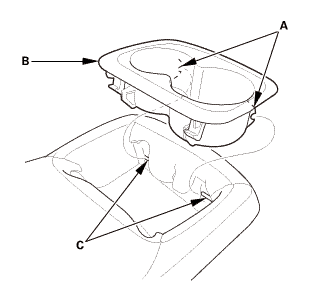 Release the hooks (A) of the rear seat armrest beverage holder (B) from the wire (C), then remove the beverage holder. 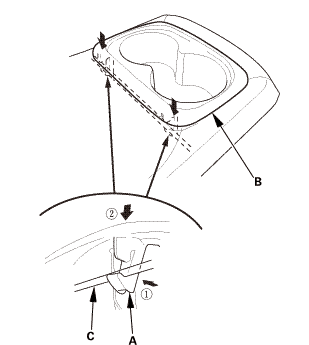 Install the hooks (A) of the rear seat armrest beverage holder (B) to the wire (C).